These are actual comments I received when I tried to talk to adults about the situation my child was facing in school. My son went from being a bubbly, outgoing, goofy fifth grader to a severely depressed sixth grader. We talked to his teachers. We talked to school officials. We were told things were being handled. And they seemed to be. We stopped hearing about the kid at school who called our son names and pushed him in the hallway. We stopped hearing about the group that shunned him at lunch. We found out two years later that they hadn’t stopped. Our son had just learned that telling us didn’t change anything, so he quit telling us. As parents we try our best to do the right thing. We didn’t want to make things worse for our son at school, so we trusted the school when they said they were handling the situation. But here’s the thing…bullying is not just about wedgies and swirlies and other outward acts of aggression—it is sneaky and invisible. It is about lack. Lack of invitations. Lack of compliments. Lack of feeling valued and cared for. And it is institutionalized—supported by a school culture that differentially values athletics over the arts, or the arts over athletics, or popularity over everything else. So what can parents do? Talk to our kids. Believe what they tell us. Help them build social skills for problem solving and teach them kindness and inclusion. Oh! And read these books! 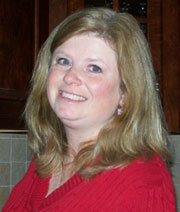 What stories have you found to help children learn social skills and avoid unkindness? 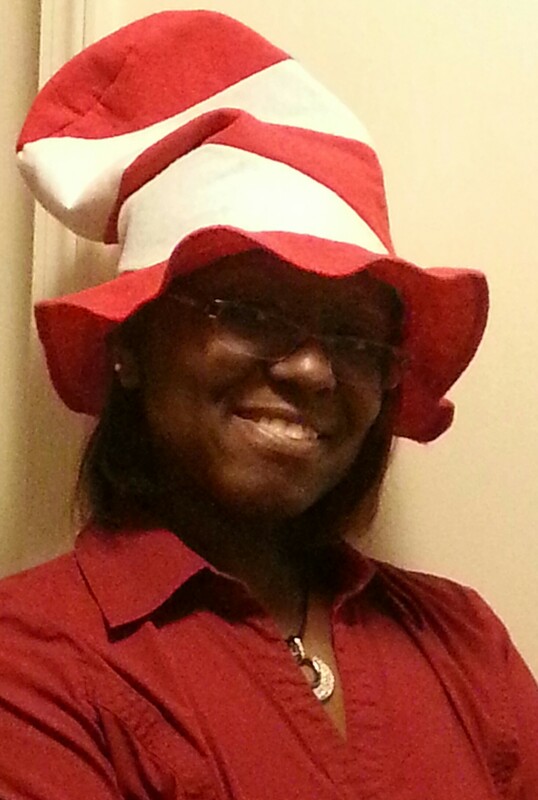 March is reading month and its Dr. Seuss’s birthday. This is a time of year that many libraries and schools create a celebration around the man of lyrical language, Dr. Seuss. Born on March 2, 1904, Dr. Seuss books have entertained and enriched many generations. This year for Dr. Seuss’s birthday, I challenged by sons to select and read a Dr. Seuss book that relates to them in some way. Together we found Dr. Seuss books that we had never read before. I have labeled our reading challenge as an appointment with the doctor. 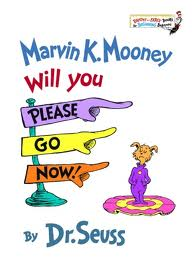 My fourteen-year-old son chose the book, Marvin K. Mooney Will You Please Go Now! In this early reader, Marvin is encouraged to “Go”, whether it is by skates or skis he is asked to just go…Please! Although my son is past the picture book stage, he felt this book reminded him of me asking, no demanding, that he go and clean his room. In the story, Marvin looked like a lovable character who got into mischief at every turn. He was asked to “go” and each time he was given ideas for a grand exit – by balloon, broomstick or even a Bumble-Boat. Title: Marvin K. Mooney Will You Please Go Now! My seventeen-year-old son thought it was quite amusing that he had to read a “kiddie” book. However, he was able to come up with a fitting picture book selection, If I Ran the Zoo. My son liked this book because he felt that our house is sometimes like a zoo. I’m sure he meant it is a home filled with excitement and fun (wink). 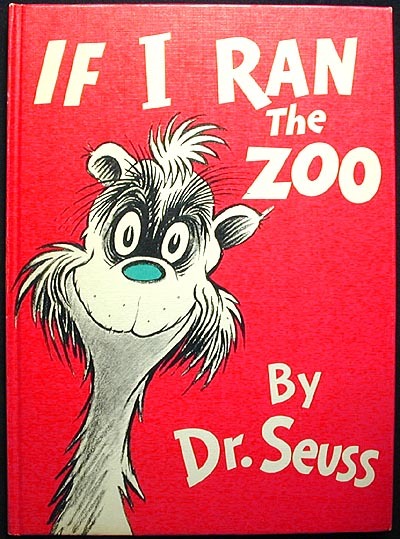 In the book, If I Ran the Zoo, the character, Gerald McGrew told how he would run the zoo. He would open every cage, unlock every pen, let the animals out and start over again. His animals wouldn’t have just four feet. They would have ten, wouldn’t that be neat. 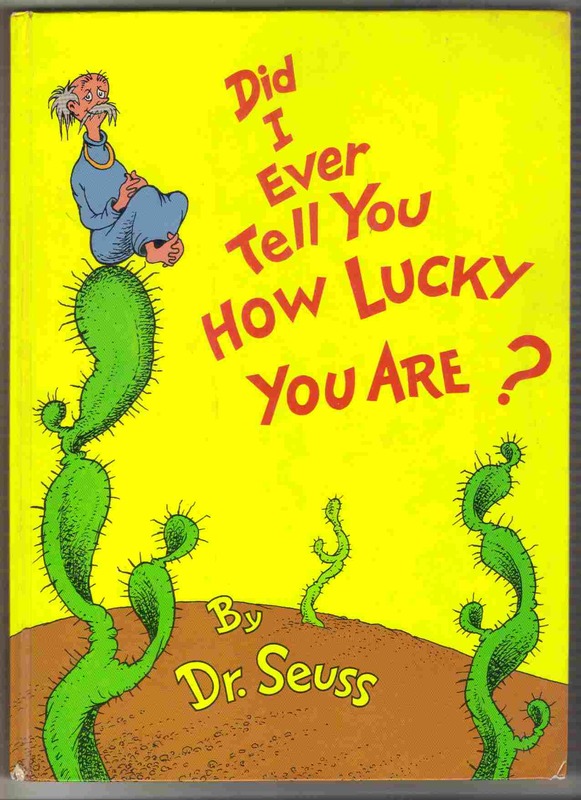 The story I chose to celebrate Dr. Seuss’s writings was, Did I Ever Tell You How Lucky You Are? I like the title of this particular book. For me the book taught a lesson of how to appreciate who you are. Title: Did I Ever Tell You How Lucky You Are? After reading our selection of Dr. Seuss books, our celebration was not complete without a meal of green eggs and ham and a side of toast. My boys did not eat much of their green eggs, but they had fun creating them. If you have young children, why not add a craft project to your celebration? Make a Cat-in-the-Hat, hat craft. If an edible project is more appealing, create a snack based on the book One fish, two fish, red fish, blue fish. It’s as simple as making blueberry Jell-O and dipping in Swedish Fish candies. Do you have a favorite Dr. Seuss book? What will you read to celebrate March as reading month? Make your selection and celebrate Dr. Seuss’s birthday the entire month.